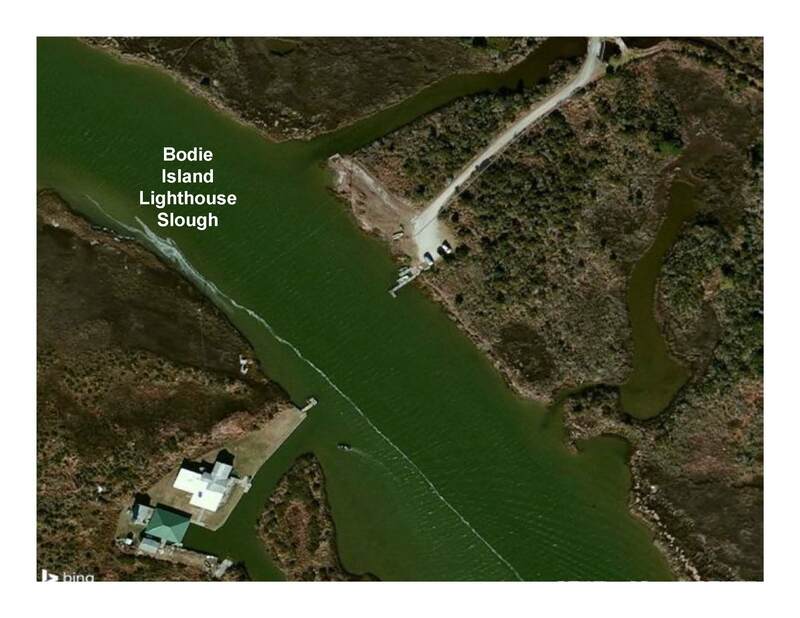 Bodie Island Lighthouse | Capt Tony's "Walkingangler.com"
There is a great place to fish just west of Bodie Island Lighthouse. 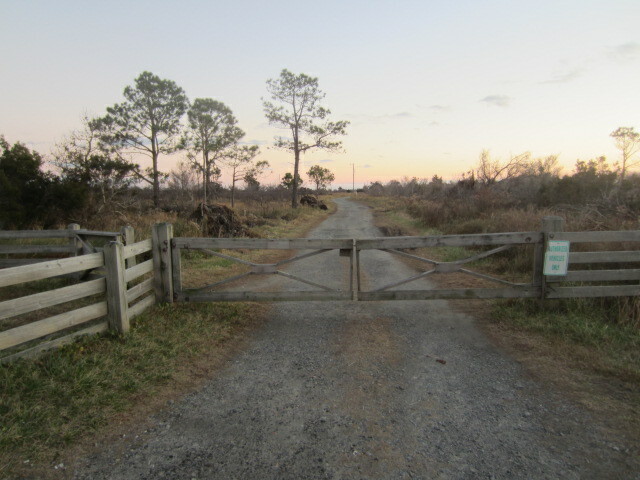 The picture at the right is the gate at the end of the circular driveway into the Bodie Island Lighthouse complex. You should try to park in a designated space on loop or parking lot and walk past the gate. Once on the dirt road, follow into for quite a walk until you come to the water. Its about a mile walk so only carry what you need. The water is quite deep in the middle but shallow enough to walk the bank both north and south. Extreme caution should taken due to varying changes in depth and the current. This gravel driveway leads to a private parking area and dock for the Off Island Gun Club. Do not disturb any cars, boats or walk on the private dock. When fishing in this area, be careful to only leave your footprints behind. Failure to respect this property and privilege will cause us to loose this access. Tip: In summer – make sure you bring mosquito spray.